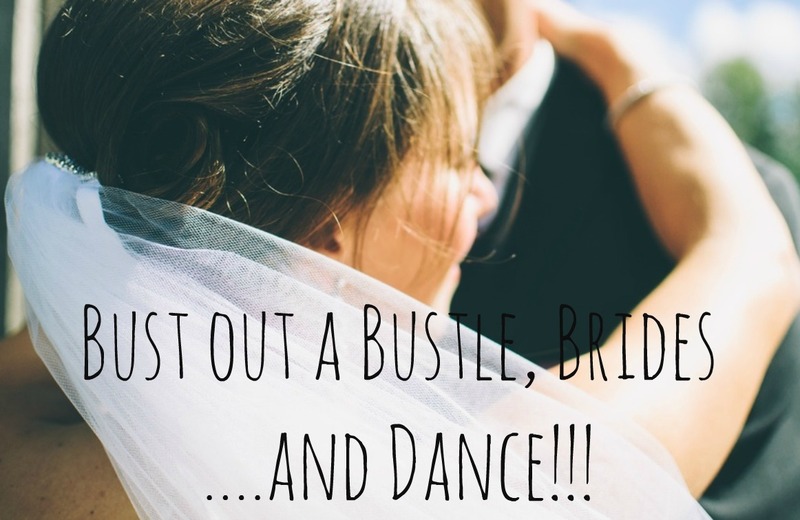 Bust out a Bustle, Brides…and Dance!!! You want to dance at your wedding, right? Of course you do! But however will you manage that, without tripping or getting footprints all over your beautiful train?? 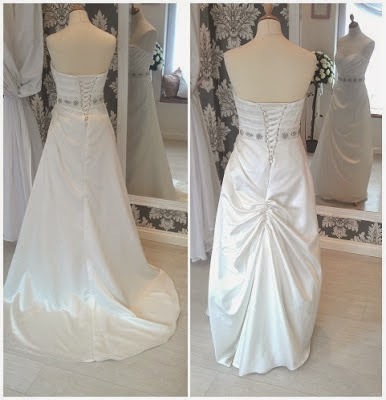 Have no fear, dear brides, for that is what a bustle is for! Bustles are magic come to life, sewn by wedding seamstresses all over the world, whereby a series of hooks, snaps or ribbons are put onto or under lovely wedding trains in order to lift them up off the ground. 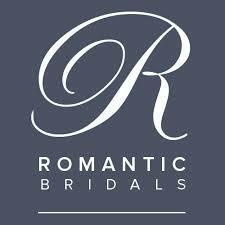 Choose to have a bustle put in your gown and you can actually walk and dance comfortably after your ceremony. Rock the aisle wearing the long train of your dreams AND still dance the night away too! There are many, many bustle styles to choose from. 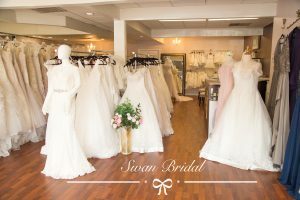 Part of the selection process will be determined by the weight and design of your gown. 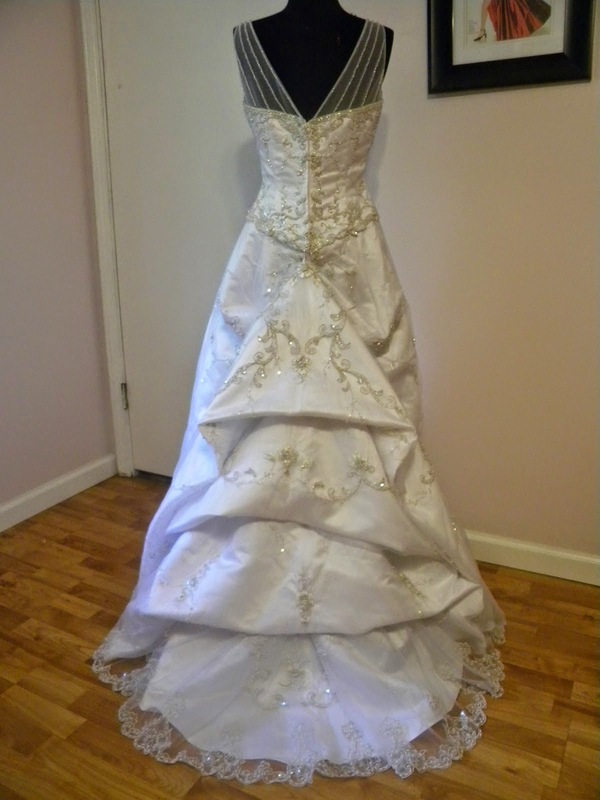 If your bridal gown is a heavy satin dress, say, with a 15 foot train, you are gonna need a very sturdy bustle put in. Whereas if you have a lighter dress, it can most likely be held up by a single loop. 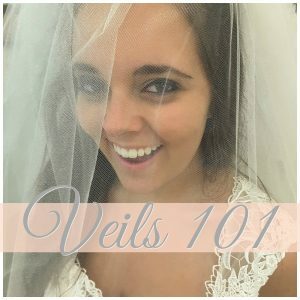 Bridal alterationists are super-helpful about suggesting potential bustles and can even pin up your gown so that you can see different options. The simpler the bustle the less you will have to spend, likewise an elaborate bustle system will be more costly. 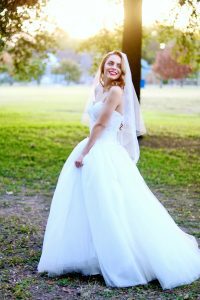 Whatever the price, though, most brides find the addition of a bustle during their alterations a wonderful solution to handling the back of their gowns after their ceremony. The easiest, simplest bustle option is a one point bustle. This involves securing the dress at a single point at the base of the bodice on the outside of the gown. These bustles are best installed on light and airy gowns of chiffon, organza and the like. 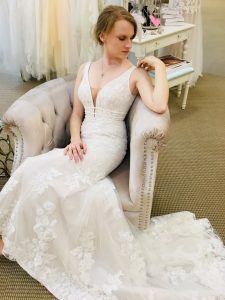 Chances are if you have selected a simple wedding dress for your special day, then this is the best option of bustle for you. Easy-peezy! Multi-point bustles use the same system as the one point over bustles, except with more points. The more points you have the more weight the bustle will hold. Multi-point bustles can also allow you to still see the beauty of your train. In other words, the train will be raised up, and spread out over the back of your dress so that it is floor length, but still shows the embellishments. 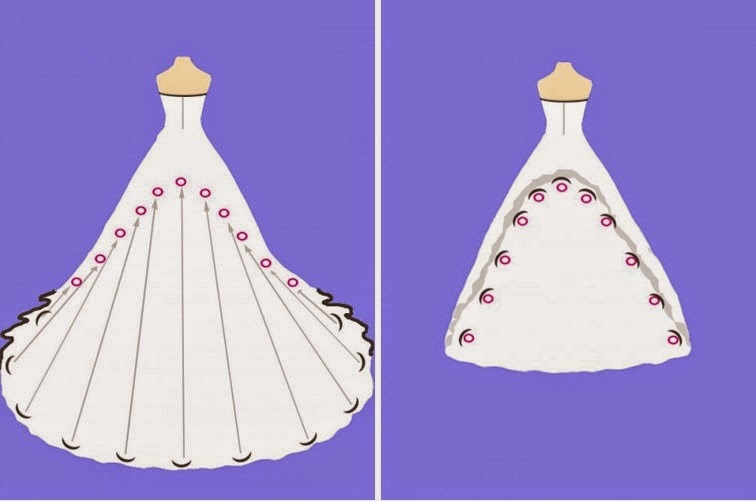 The following illustrations shows how a multi-point over bustle can raise your train up and create the look of a floor length skirt. 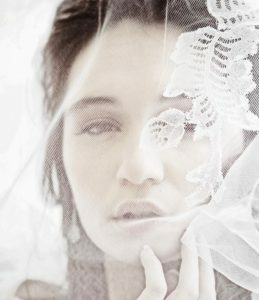 A favorite among many brides, the french bustle is created by ribbons that are sewn underneath the gown. The ribbons are tied pulling the train up under the gown, providing a secure lift. The ribbons are often numbered and color coded to help the bridesmaids on the day of the wedding. This bustle is great for full gowns that are made of heavy material, since ribbon ties are stronger than hooks, buttons or loops. This bustle is also kinda fancy, since it’s French and can transform your wedding dress to an entirely new and beautiful look. You can get even more enthusiastic with the French Under Bustle theme by adding three or more of them. The photo below shows how multiple French Under Bustles can transform the back of a wedding dress with a train into a dance-able length gown. Voila! This bustle is as easy to work as a window shade. For this style bustle, your seamstress would install a loop and pull system similar to that of window shade under your gown. After your ceremony, one pull on the string and up goes the train! 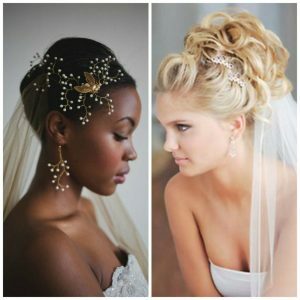 While your bustle is being addressed, chances are your guests are out rolling up their sleeves for the reception. So pull up your dress it’s time to dance!